While a picture is worth a thousand words, a hint sometimes helps. 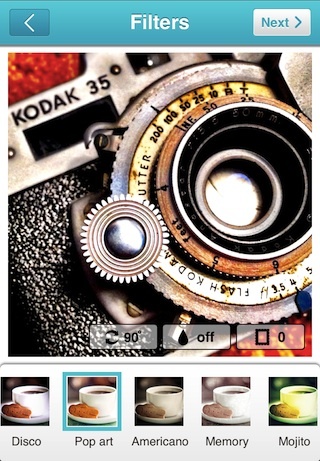 On most of the photo sharing social systems, a bit of text can be added to expand on the photo message. Hash tag keywords is popular too so viewers can group photo viewing. 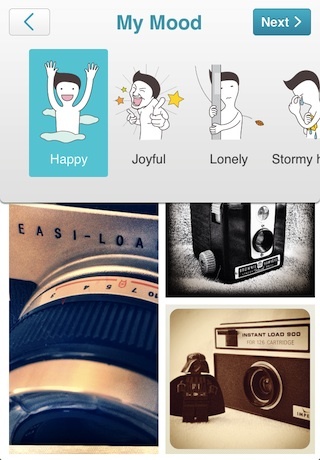 A ‘newer’ offering to the social photo sharing options is Pudding.To. While it was new to me, it has a very large following already, enough that the young company has occasional overruns on their servers as everyone jumps in at once. 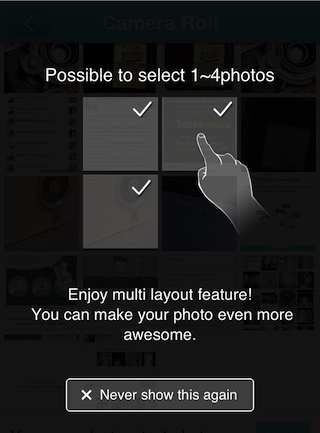 Popularity might be based on a few features they have over other options. 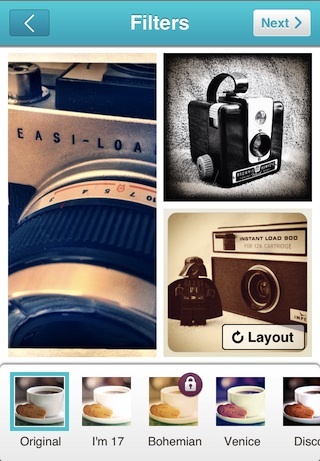 First, a uploaded photo doesn’t have to be a single photo. Pudding.To lets you pick up to four photos at a time and will build a collage out of them for you. Each of the images can be moved around in their Collage spot. Also, Pudding.To will redo the order the photos appear via the ‘Layout’ button. Across the bottom is filter choices you can cycle through/apply. The ‘locked’ filters are unlocked via the quantity of ‘Likes’ and ‘Follows’ you do. If you are uploading a single photo (rather than a collage), there are options to rotate, add tilt shift effect and Frame. When you have the photo as you want it to be for sharing on Pudding.To, tap the ‘next’ button for access to the ‘Mood’ options to assign to the photo. It can be tough if you are having fun in a vacation photo… is that ‘Travel’ or ‘Happy’? Oh yea, it’s all for fun, don’t over think it! 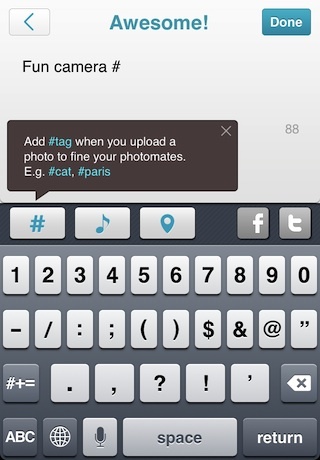 After you choose the emotion associated with the photo your uploading, hashtag/location can also be added. These all tie into how you can find other photos with the same interest as yours. Pudding.To lets you view list of not only the hashtags but also the emotions people assigned to their images. ‘Travel’ is fun to see… great way to see fun spots around the world.